HOLIDAY - CHUTANI NA BIJA DIVASE RAJA JAHER _ ELECTION STAFF. JILLAFER TATHA ARASPARAS BADALI NI ARAJIO SABANDHIT JILLA NE AAPAVA BABAT. How to stop others from adding me to annoying WhatsApp groups- this is one of the most asked questions related to WhatsApp on web and we totally understand why. WhatsApp has its own pros and cons. The list of pros is long with points like it is an easy to access app and comes with various features to name few but the cons' list also has some very valid points and groups are one of the most annoying platforms on the platform. But not anymore. WhatsApp is reportedly working on a feature that would soon require admins to ask permission from users before adding them to a group. As per a WaBetaInfo report, WhatsApp is working on to add a Group invitation feature to both WhatsApp Messenger as well as the WhatsApp Business platform. The feature is expected to come in the next iOS beta update. The report explains that when the admin of any group is unable to add you to a group, the admin can then ask for your permission via group invitation feature. This invitation expires after 72 hours. There is a big relief to WhatsApp users. 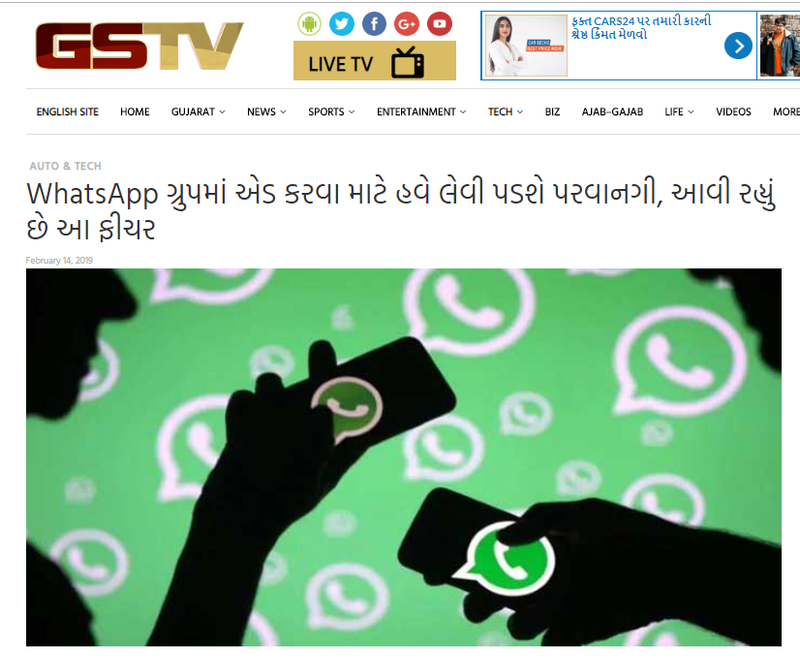 The company will soon launch a feature that requires user permission before connecting it to any WhatsApp group. The name of this feature will be 'Group Invitation'. However, currently WhatsApp users can be added to any group without their permission, but this feature can not be grouped without the user's consent after it arrives. According to Wabetainfo's report, the Group Invitation feature is currently ready for iOS beta users. It is a confirmation that this feature will be released soon for Android users. It is also reported in the report that although this new feature is in the stage of development. All the WhatsApp users have to make some changes before it is released. Before this update, beta will be ready for users, then it will be rollout for all WhatsApp users. To do this, you have to go to WhatsApp Settings> Account> Privacy> Groups. Where you will find 3 options- Everyone, My contact, Nobody.